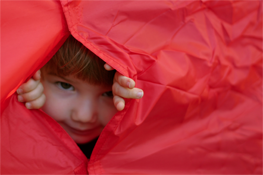 Getting your kids involved in camping can be a fun and rewarding experience for them. But they have different needs. Follow these tips and to ensure they’ll be safe, clean and have lots of fun. Don’t get too ambitious with an infant or young child. Many pediatricians suggest that at five months of age, a child can spend the night outdoors, but use good judgement. You don’t want to take them in bad weather conditions or be too far away to receive immediate medical attention in case of an accident. Practice some short overnight trips and see how your infant and toddler does first. Infants and toddlers require more sun and mosquito protection. Small children can’t tell you if they’ve been stung or feeling sun burned. Make sure to use high SPF sun protection for your child and dress them in a hat or protective clothing. Read our 10-tips to better sun protection HERE. Mosquito protection is also imperative and there’s plenty of natural solutions available that don’t have harsh chemicals. Just make sure to reapply both types of protection often. More info on natural repellents is HERE. Keep young ones at arm’s reach. No matter if they crawl or walk, toddlers like to wander and explore. There’s lots of dangers in a campsite other than the obvious roaring campfire. Hot coffee on a table, heavy lanterns, an axle used for chopping wood, insects and more can cause serious injury if a child leaves your sight for a few seconds. Children need an appropriate sized sleeping bag. Don’t think they’ll stay warm in an adult bag. Sleeping bags are meant to stay close to your body and radiate heat. Too large of a bag will not radiate enough heat and allow cold air to enter while they’re sleeping. Take lots of clothes. What kid do you know that doesn’t like to play in the dirt? They get dirty and often, so bring enough clothes to change them into for sleeping and day wear. In addition, kids may get carried in a chest pack or on your back, so they won’t exert themselves as much as you and will need to stay warm in colder or higher altitudes. Give them a whistle (if they’re responsible). Giving 3-4 year old kids a whistle is a great idea when you’re out hiking and they want to walk, instead of being on your back. Teach them to blow the whistle in case they get lost, but not all day long. Some people put small bells on younger toddler’s shoes so they can hear them at all times. Teach kids low-impact camping tips. They’ll pick this up early on and enjoy clean up, as well as learning to make responsible decisions for their safety, as well as for the environment. Pack lots of games and arrange activities. Infants typically sleep, but toddlers and young kids need to keep themselves entertained. Pack books, small board or card games to keep them occupied during quiet time. Arrange activities such as gathering small sticks for tinder or let them make Smores with parental supervision. Check to see if the campground has evening programs for kids which can also be a great way to get them tired for a good nights sleep.